The 83rd General Assembly convened this year on Wednesday, January 12, 1983 in order to organize and choose its leadership. It was an orderly transition and what resulted, on both sides of the aisle, was the organization of the finest leadership teams Illinois has had in many years. As is apparent by the profiles of each of the members, their achievements, activities, and contributions both to their communities and the legislative process in Illinois are prodigious. Highlighted below are only a few of these. We extend to each of these senators and representatives our warmest congratulations. Philip J. Rock, a Democrat from Oak Park, is the President of the Senate and Senate Majority Leader in the 83rd General Assembly (1983-84). This is Senator Rock's third term as President of the Illinois Senate. Rock is also State Chairman of the Democratic Party. He has been a leader in providing adequate education funding for Illinois. In addition, Rock has devoted much of his energies to maintaining quality services for the handicapped and mentally ill. He is the father of the Illinois Deaf-Blind School, having sponsored the legislation and appropriations for the first such special school in the nation. 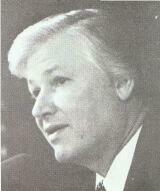 Senator Rock has served in the leadership of the State Senate since his second term as a State Senator in 1972. He was elected the Most Outstanding Freshman Senator and has been consistently rated as the Most Effective State Senator by the Illinois Political Reporter. Senator Rock is a graduate of Loyola University School of Law and St. Mary of the Lake Seminary, where he received degrees in Theology and Philosophy. Prior to his election to the Senate, he served as an Assistant Illinois Attorney General, Chief of the Consumer Fraud Division and as an Assistant Cook County State's Attorney, Chief of the Traffic Court Division. Senator Rock is a practicing attorney with the firm of Rock, Fusco, Reynolds and Heneghan in Chicago. He and his wife Sheila are the parents of Kathleen, Mcghan and Colleen, students at Oak Park-River Forest High School, and Jay, a student at St. Giles School in Oak Park. Michael J. Madigan, Democrat of Chicago, was elected Speaker of the Illinois House of Representatives on January 12, 1983. He served as House Minority Leader during the 1981-82 session of the General Assembly, and as Majority Leader from 1977 through 1980. Voters in the 27th (now 30th) Legislative District first sent Speaker Madigan to the state capitol in 1970, as a delegate to the Sixth Illinois Constitutional Convention. He won his first term in the Illinois House in November of that year. He was appointed an Assistant Majority Leader in 1975 at the beginning of his third term in the House. Speaker Madigan three times has been designated "Most Effective Representative" by the Illinois Political Reporter. He was named one of the "10 Best Legislators" by the Chicago Sun-Times in 1977, and has been the recipient of numerous other legislative awards. A graduate of Loyola University Law School, Speaker Madigan practices law in Chicago. He is a former hearing officer for the Illinois Commerce Commission. He is a member of the Holy Cross Hospital Board of Trustees, the Council on Hospital Governing Boards of the Illinois Hospital Association and the Advisory Committee to the Fernely Harris School for the Handicapped, and also serves as an ex officio member of the Advisory Committee to the President of Richard J. Daley College. 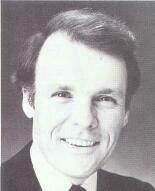 Speaker Madigan was born April 19, 1942, in the Southwest Side district he now represents. A life-long resident of the City of Chicago, he was graduated from St. Adrian Grammar School, St. Ignatius High School, and the University of Notre Dame. Speaker Madigan and his wife, Shirley, have three daughters, Lisa, Tiffany and Nicole. James "Pate" Philip, a Republican from Elmhurst, was educated at Kansas City Junior College and Kansas State College and served in the U.S. Marine Corps from 1950-1953. His current position as Senate Minority Leader for the 83rd General Assembly is one he was first elected to in 1981.
before his election to the Senate in 1975. He is Chairman of the DuPage County Republican Central Committee and is past president of the Illinois Young Republican Organization. He has been active in the Republican Party for many years and has received a number of awards for his legislative service. In 1975 the Illinois Political Reporter rated him Best Freshman Senator and he has been voted Outstanding Young Republican in Illinois. Senate Committees: Elections and Reapportionment; Executive; Executive Appointments; Veterans Affairs and Administration; State Reorganization and Rules; and Co-Chairman, Legislative Space Needs Commission. He is the district sales manager for Pepperidge Farm, Inc., a member of the Grocery Management and Sales Executive Club of Chicago and has served as past vice-president of the Illinois Suburban Business Management Council. He and his wife are the parents of two children. Lee A. Daniels, Republican of Elmhurst, was chosen as minority leader in the House after serving as a majority whip during the 82nd General Assembly. Daniels, a four-term representative from DuPage County, has sponsored and supported laws protecting consumer interests, prompting judicial reform, increasing the penalties for repeat criminal offenders, and protecting small business against criminal fraud. A life-long resident of DuPage County, Daniels is an attorney and managing partner in the law firm of Daniels & Faris. Before winning election to the House in 1974, Daniels served as an elected member of the York Township Board of Trustees for 6 1/2 years and as a special prosecutor for the Illinois Attorney General's Office, where he headed the State's investigation and closing of the important Equity Funding Life Insurance Company fraud case. Daniels has been an active member of the Republican Party for more than 20 years. He has served as a precinct committeeman, vice-chairman and treasurer of the York Township Republican Committeeman's organization and president of the Elmhurst Young Republicans' organization. Daniels received his undergraduate degree from the University of Iowa (B.A. 1965) and his law degree from John Marshall Law School (J.D. 1967). He is a trustee of the Memorial Hospital Health Service Foundation and serves on the Council for Children's Memorial Hospital, Chicago, Illinois. He and his wife, Pam, have five children, Laurie, Rachael, Julie, Tom and Christina. Frank Savickas, Democrat of Chicago, is a life-long resident of Chicago's southwest side. He attended St. Rita and Harbor High School and majored in business administration at Wilson Junior College. Senator Savickas has represented the people of the southwest side as state representative in the 75th and 76th General Assemblies and as state senator in the 1977 through 83rd General Assemblies. He currently is Assistant Majority Leader. He is involved in a number of community organizations and is active in the promotion of mental health, senior citizen, and small business legislation. He was the first member of Lithuanian origin to serve in the Illinois General Assembly as a representative and state senator. An insurance broker, he and his wife, Joanne Cortez, have three children, Sharon, Michael, and Linda. Terry L. Bruce, Democrat of Olney, was born and currently resides in Olney, Richland County. Illinois. Educated in Oiney public schools and the University of Illinois; graduated University of Illinois Law School, law degree, 1969. Formerly with United States Department of Labor in Washington, D.C., specializing in farm labor problems. Served on the staff of U.S. Congressman George Shipley and State Senator Phillip Benefiel. Legislative intern 1969-1970, serving on staff of Senate Minority Leader Thomas McGloon. Elected to Senate, 1970. 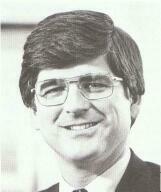 Assistant Majority Leader in Illinois State Senate 1975 to present. He is the recipient of many "Outstanding Legislator of the Year"awards including 1982 "Environmental Legislator of the Year" by the Illinois Environmental Council. Senator Bruce, a practicing attorney with law firm of Shumaker & Bruce, Olney, is married to Charlotte Roberts and has two daughters, Emily Anne and Ellen Catherine. Kenneth Hall, a Democrat from the 57th district, East St. Louis, was born in East St. Louis. He is a graduate of Lincoln High School, East St. Louis, and in 1949 was appointed to the State Rent Control Board of Illinois by Governor Stevenson. Senator Hall served as a commissioner of the St. Clair County Housing Authority for 5 years and as its chairman for 3 years. He is a former commissioner of the East St. Louis park district. Senator Hall has long been active in Democratic party politics and is currently in his 26th year as Democratic precinct committeeman. He served two terms in the House of Representatives and was elected to the Senate in 1970. He was named assistant majority leader in the Senate in the 80th General Assembly, a position in which he has served since that time. A licensed insurance broker, he and his wife, Ann, have four sons, Thomas, Kenneth, Jr., Maurice and Mark. Vince DeMuzio, Democrat of Carlinville, was born in Gillespie, Illinois. He received a Bachelor of Arts degree in Education and Human Services at Sangamon State University. Springfield, and an Honorary Doctorate degree in Jurisprudence from Lewis and Clark Community College. Prior to his election to the Illinois Senate in 1974 from the 49th legislative district (west central Illinois), he served as Executive Director of the Illinois Valley Economic Development Corporation. He was re-elected to the State Senate in 1978 and serves as an Assistant Majority Leader. Senator DeMuzio serves on the following standing Senate Committees: Finance and Credit Regulation; Agriculture, Conservation, and Energy; Elementary and Secondary Education; and Executive. He has been the recipient of numerous leadership and legislative awards during his tenure in the State Senate. Senator DeMuzio is married to Deanna Clemonds DeMuzio. They have two children, Brad and Stephanie. Gene Johns, Democrat of Marion, was born in Carrier Mills, Illinois and graduated from Southern Illinois University with a major in government. He served in the U.S. Navy Air Corps, the FBI in Washington, D.C., and as administrator of the Department of Business & Economic Development in Herrin, Illinois. Senator Johns is serving his sixth term in the Senate and was appointed chairman of the Democratic caucus and serves as chairman of the committee on committees and rules committee. He is a member of the State commissions on Economic development. Energy resources, the Task Force on the Future of Illinois, and Joint House and Senate Child Care Study Committee as well as County Problems. Senator Johns is married to Eve Prince and has three children. Mark, Daredan, and Dane. He owns a petroleum distributorship in West Frankfort and is a licensed real estate broker. Stanley Weaver, Republican of Urbana, was born in Harrisburg, Illinois and attended Michigan State College and the University of Illinois. He is a graduate of the Indiana College of Mortuary Science and a veteran of World War II Army Air Force, Southwest Pacific Theater. He is a past president of the Illinois Municipal League and served the City of Urbana as its elected mayor from May, 1967 to January, 1969. Senator Weaver was first elected to the Illinois House of Representatives in 1968 and after one term in the House was elected to the Illinois State Senate in 1970. He has served as assistant majority leader in the 78th General Assembly and as assistant minority leader in the 80th, 81st, 82nd, and 83rd General Assemblies. He and his wife, Mary Smith of Urbana, have two children, Blake and Sherry. John Grotberg, Republican of St. Charles, was born and raised in Minnesota. He was educated at the University of Chicago and received a B.S. from George Williams College. He served in the House of Representatives for four years and has served as senator in the 80th, 81st, 82nd and 83rd General Assemblies. As assistant Minority leader of the Senate, he is currently a member of the Senate Executive and Appropriations I Committees. He is also a member of the Commissions on Children, the Illinois Economic and Fiscal Commission, and the Aggregate Mining Problems Study Commission. Senator Grotberg is active in many social and civic organizations including a 25-year career as corporate executive of the YMCA. He is involved in hotel management, Hotel Baker, St. Charles. He and his wife, Jean, have five children. Aldo DeAngelis, Republican state Senator, 40th district, was born and raised in the Chicago Heights area. He and his wife, Meredith, and their four children reside in Olympia Fields. He is a graduate of Knox College in Galesburg and has continued management and government studies at the University of Chicago Graduate School of Business and at Governors State University Graduate School of Business and Public Administration. Senator DeAngelis is currently serving his third term in the Illinois General Assembly and is Assistant Minority Leader. Prior to being elected, he was a businessman in Chicago Heights serving as president of Vulcan Tube and Metals. He currently serves on the boards of many community organizations, is a guest lecturer at Governor State University and was recognized as Best Freshman Senator in the 81st General Assembly. John Davidson, Republican of Springfield, born in Westpoint. Mississippi, was raised on a farm near Petersburg, Illinois. He entered the service after high school graduation and served as a tailgunner on a torpedo bomber in the South Pacific with the Navy Air Corps during World War II. He is a practicing chiropractic physician having graduated from the National College of Chiropractors in 1952 and was named Chiropractor of the year for the United States in 1973.
member of the Education, Executive, and Transportation committees and has served as the chairman of the Council on Health and Physical Fitness. He is currently Republican caucus chairman. Senator Davidson and his wife, Shirley, are the parents of three grown children. Jim McPike, Democrat of Alton, was born in Alton, Illinois August 27, 1943. He attended St. Ambrose Elementary School and graduated, Marquette High School in 1961. He was educated at the United States Naval Academy in Annapolis, B.S. degree in Naval Science, 1965; Jacksonville University (Florida), B.S. in Business, 1970; and M.A. in Economics, 1974 from Southern Illinois University-Edwardsville. Upon graduation from Annapolis, he served five years in the United States Navy as a jet pilot. Upon return to Alton in 1970, he was employed by the 3-M Company until 1976, when he was elected to the House of Representatives. In his third term in the General Assembly, he was chosen to serve as Minority Whip. The Chicago Tribune picked McPike as one of "the 7 Best Legislators". Now, in his fourth term, he has been appointed to serve as Majority Leader. McPike is married (Julie McLean) and is the father of three teenage children. He enjoys the outdoors, is an avid fisherman and hunter and does carpentry as a hobby. E.J. Giorgi, Democrat of Rockford, a native of Rockford, Illinois - Winnebago County, serves Illinois from the 34th representative district. He was educated at Washington and Lee University, later serving as sergeant with 40 months service during World War II, in the Armored Corps (tanks and amphibians). Representative Giorgi has formerly held the position of deputy assessor, Rockford Township. He is the recipient of numerous public and legislative service awards and has the special recognition of being designated as "Father of the Illinois State Lottery" by Governor Walker. He has served as assistant majority leader of the House of Representatives from 1976 through 1980, assistant minority leader in 1982 and 1983 and is currently serving as assistant majority leader for the 83rd General Assembly. John S. Matejevich, a Democrat from North Chicago, is a graduate of Lake Forest College. Before being elected as State Representative in 1966 he served as Magistrate and Chief of Police in North Chicago. Appointed Assistant Majority Leader for the 83rd General Assembly, he is currently serving his Ninth term as a Representative. He has served as Chairman of the House Executive Committee in the 79th General Assembly and Chairman of Appropriations I in the 80th and 81st and as Minority Spokesman of the Appropriations Committee in the 82nd. He is also Vice-Chairman of the Chain 'O Lakes Fox River Commission and a member of the Illinois Economic and Fiscal Commission. He has written a weekly column "From House to Home" since his election to the legislature, and also writes a monthly column titled "On the House." He and his wife, Agnes, have a son, Robert John. Taylor Pouncey, Democrat from Chicago's 31st representative district, was born in Carbondale, Illinois and educated at Wendell Phillips High School. He served in the United States Marines from 1943-1946. He is Assistant Majority Leader and also is Chairman of the Elections committee and a member of the Personnel and Pensions committee. Serving as a board member of the 7th district police steering committee he also acted as the scout master of troop 517, Boy Scouts of America. He is precinct captain and worker in the 16th ward regular Democratic organisation and is currently serving his 5th term in office. He and his wife, Lodena, have one son, Athens. Peg McDonnelI Breslin, Democrat from the 38th legislative district, was born in Ottawa, Illinois. She received her education from Loyola University with a B.A. degree in Political Science and a J.D. degree in 1970. She has been involved in the private practice of law since that time and has served as legal advisor to the Illinois State Board of Education. First elected to the 80th General Assembly in November, 1976, she has subsequently been re-elected to the 81st, 82nd, and 83rd General Assemblies. She is Majority Whip in the present General Assembly. Representative Breslin is currently serving on the House Judiciary Committee, and has also been a member of the committee on Financial Institutions and Motor Vehicles. She has been involved in committees governing farmland preservation, the Business Corporations Act Revision, the Legislative Council, and the Task Force on Aging. She and her husband, John X. Breslin, an attorney, have one daughter, Molly. Ralph Capparelli, Democrat of Chicago, representing the 13th district, was born in Chicago. Educated at Northern Illinois University with a B.S. degree in education, he served in the United States Navy for three years and received the Battlestar. He is a former teacher. First elected in 1970, he is now serving his 7th term in the Illinois House. He has served as the Democratic spokesman for the House Executive committee and as a member of the Elections and Public Utilities committees. He is House Majority Whip. He and his wife, Cordelia, have two children. Harry "Bus" Yourell, Democrat of Oak Lawn, was born in Hammond, Indiana and educated at Chicago High School and LaSalle Extension University. In 1946 he moved into the Evergreen Park — Oak Lawn area where he established a restaurant and was also engaged in the insurance brokerage business. Serving in the U.S. Marine Corps during World War II, he was awarded the bronze star and the purple heart. tives where he is Democratic caucus Chairman. Representative Yourell has received numerous legislative awards for his outstanding service including the Illinois Wildlife Federation award in 1975, 1977 and 1981 and the Illinois Association of Park Districts' Outstanding Legislator Award in 1976 and 1979 in appreciation for his support and sponsorship of park and recreation legislation. Gene Hoffman, Republican of Elmhurst, was born in Canton, Illinois. He received a B.S. from Illinois State University, an M.S. degree from Northern Illinois University and a doctoral degree in education administration from Northern Illinois University. He is active in many civic and professional organizations and has served as an Illinois State Representative from the 40th district since 1967 and is currently Assistant Minority Leader. He has served as a member of the House Public Utilities, Labor & Industry, and Higher Education Committees, as a member of the Governor's Task Force on School Finance and most recently as the Vice-Chairman of the Education and Labor Committee, National Conference of State Legislators, 1982. He has received numerous awards for his legislative service including being named Outstanding Freshman Legislator by Chicago's American. He and his wife, Diana, have four children. Thomas W. Ewing, Republican of Pontiac, was born September 19, 1935 and raised in Atlanta, Illinois (Logan County). He graduated from Millikin University with a B.S. degree in Business Administration in 1957 and was awarded Juris Doctorate Degree from John Marshall Law School, Chicago, 1968. A former Assistant State's Attorney of Livingston County, 1968-73, he is a partner and practicing attorney in the firm of Satter, Ewing and Beyer, Pontiac, Illinois, and the owner and manager of a farm. First elected to the Illinois House of Representatives in 1974 and re-elected in 1976, 1978, 1980 and 1982, he serves in the House as Assistant Minority Leader and as a member of the House Rules Committee and the Personnel & Pensions Committee — 83rd General Assembly. He was appointed by President Ronald Reagan to serve as a member of the National Advisory Council on Rural Development, 1982. Representative Ewing is married and he and his wife, Connie, reside in Pontiac. Illinois. They are the parents of six children. 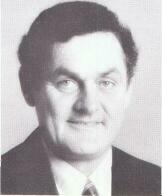 Sam Vinson, Republican of Clinton, was born at Clinton, Illinois, on February 20, 1947. He is the son of Robert L. and H. Marie Vinson of Clinton and the brother of Mrs. James Reeder of Monticello, Illinois. Mr. Vinson attended Clinton public schools, graduated with honors in government from Dartmouth College in Hanover, New Hampshire, and has a law degree from Georgetown University in Washington. D.C. He served as Assistant to the Director of Personnel during the ad ministration of Governor Richard B. Ogilvie and as Legislative Assistant to Congressman Ed Madigan. Mr. Vinson was Assistant to Governor Thompson with responsibility for legislative liaison with the State House of Representatives. Mr. Vinson served as State Representative in the 80th, 81st, and 82nd General Assemblies. He has been a member ol the House Appropriations. Health, and Judiciary Committees. In the 83rd General Assembly, Mr. Vinson is Assistant Minority Leader. Mr. Vinson is a member of the First Christian Church of Clinton and resides at R.R. #3, Clinton, Illinois. John W. Hallock, Jr., Republican of Rockford, was born July 9, 1946. Educated at Loyola University, Chicago, with a B.A. degree in Political Science; Notre Dame University College of Law, London, England, and I.I.T. -Chicago-Kent College of Law, J.D. degree. He is engaged in private practice of law in Rockford with the firm of Smith, Hallock and Talley. A former legal counsel and staff aide to Illinois State Senate Republicans, he also served as a legal intern in office of the U.S. Attorney for the Northern District of Illinois and as a law clerk to the Attorney General of Illinois. He spent several years as an inner-city teacher and coach. Appointed as Minority Whip for the 83rd General Assembly he has been voted "Best Freshman Representative of 81st General Assembly" by Illinois Political Reporter and named Man of the Year 1979 by the Young Republican Organization of Illinois. He and his wife, Carol, an attorney, have two sons, John W. Hallock, III and Michael Johnson Hallock. Jack Davis, Republican of Beecher, represents the 84th representative district. He was educated at Southern Illinois University and received a B.S. degree in education in 1956. An aviator in the U.S. Navy for 3 1/2 years, he served the Village of Crete as a trustee from 1969 through 1972. He was first elected to the General Assembly in 1976 and was subsequently re-elected to the 81st, 82nd and 83rd General Assemblies. A recipient of a number of awards for his legislative ability, he has served as a member of the House Appropriations, Executive and Rules and Regulations committees as well as a member of the Illinois Economic and Fiscal Commission. He and his wife, Virginia, have three children. Hill, Heather, and Jack II. Penny Pullen, Park Ridge, a Republican from the 55th representative district, was educated at the University of Illinois, Chicago Circle, majoring in communication. She served as administrative assistant to the late State Senator Robert S. Juckett from 1968-1975. A former member and officer of the Young Republicans, she was named Illinois Outstanding Young Republican in 1968. Nations Committee and the George Washington Honor Medal, Freedoms Foundation at Valley Forge. Representative Pullen has served as chairman of the House Executive committee and as a member of the Elections and Public Utilities committees. She is presently a minority whip. Dwight P. Friedrich, a Republican from Centralia, Illinois, was educated at Brown's Business College, Southern Illinois University and the University of Minnesota. He served three years in Naval Intelligence during World War II. First elected to the Illinois State Senate in 1952, he was re-elected in 1956 and 1960 and served as a delegate to the 1970 Illinois Constitutional Convention. He was elected to the House of Representatives in 1974 and was subsequently reelected to the 80th, 81st, 82nd and 83rd General Assemblies. He is a conference chairman. Representative Friedrich, a recipient of the Distinguished Service Award from the Junior Chamber of Commerce, is a director of the Old National Bank, Centralia, and First State Bank, Patoka. He is married to Virginia Peterson and has one daughter, Carol Stevelin. Alan J. Greiman, Democrat of Skokie, was born in 1931 at Chicago, Illinois, educated in the Chicago Public Schools and received a Bachelor of Science and L.L.B. from the University of Illinois. He has been engaged in the general practice of law since 1955. During that time he has also served as a Special Senior Counsel for a Federal Regulatory Agency and as Skokie Prosecutor. Representative Greiman has served in the House since 1974 and has served as a member of the Judiciary, Executive, Higher Education committees and the Committee on Rules. He is also a member of the Law Revision Commission and the Joint Committee on Administrative Rules. He is presently serving on the Governor's Commission on Public Pension Investment Practices. He is an assistant majority leader. Representative Greiman has been designated by the Illinois Environmental Council as "Environmental Legislator of the Year". He received "Best Legislator" awards from the Independent Voters of Illinois and has been honored for his activities in education by the Illinois Education Association and the Chicago Teachers Union. He lives in the Village of Skokie with his wife, Caryn, and their six daughters.